Act two of The Witcher 3 begins with a quest called Ugly Baby. If you’ve completed your investigations in Skellige, Novigrad and Velen, you’re left with one tenuous lead – the strange fellow called Uma whom the Baron won in a card game. Return to Crow’s Perch to find him. The contact you meet here – the Baron or the Sergeant – depends on whether you’ve completed Family Matters and Return to Crookback Bog. In any case, you are sent to the stables. Make fun of the stablehand if you like. The contrast between how the Baron’s men talk about Uma and how Geralt approaches the uncommunicative scamp is kind of interesting. Now we’re off to Kaer Morhen – but before we make it, the Emperor’s forces intercept Geralt and take him to Vizima. There’s a great deal of chatting here, which is useful if you’ve lost track of what’s been going on. When you’ve finished talking to Emhyr and optionally quarrelling with Yennefer, you we can go to Kaer Morhen. Did you get homesick? 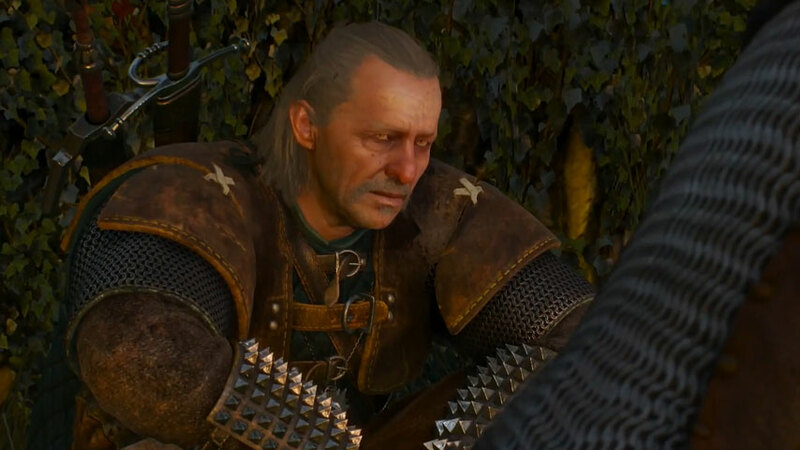 When the cutscenes end, have a chat with Vesemir and Uma if you like. From here we must complete three child quests in order to complete Ugly Baby. You can choose freely between them, but the most logical and convenient order is Disturbance first, The Final Trial second and To Bait a Forktail… last. Having completed your three tasks, follow your waypoint to the main hall to automatically begin No Place Like Home. Onwards to No Place Like Home or back to Disturbance, The Final Trial or To Bait a Forktail… – or back to The Witcher 3: Act Two.